Below is an example of making my artist biography scannable. Kim has been published in the New York Times in conjunction with a group show at the R & F Gallery in Kingston, N.Y. and the exhibition catalog from the Grassi Museum in Leipzig, Germany. She has also been reviewed in See Magazine, FFWD Magazine and The Gauntlet. Her work is in the collection of the Alberta Foundations for the Arts and the Grassi Museum. And is privately and publicly collected throughout Canada, Australia, Germany and the Netherlands. Kim Bruce, a native Calgarian, resides and works in the foothills of Alberta just outside the City of Calgary. As you can see I provided a list to draw attention to major exhibitions. Keywords are bolded in the paragraphs as these are items that I want to stand out. For more ideas on content for your artists about page see Artist About Page Content. Kim studied fine art at The Alberta College of Art & Design and The University of Calgary from 1989 to 2002. Her formal education is in Interior Design where she received her diploma from Mount Royal University in 1977. Kim, a native Calgarian, has been published in the New York Times in conjunction with a group show at the R & F Gallery in Kingston, N.Y. and the exhibition catalog from the Grassi Museum in Leipzig, Germany. She has also been reviewed in See Magazine, FFWD Magazine and The Gauntlet. Major exhibitions include: “Pins & Needles” at Housatonic Museum of Art, Bridgeport CO, USA (2014), “Strong Appearance – experimental shoe design” at Grassi Museum in Germany (2013), “Pulse: Alberta Society of Artists at 80 Years” at the Triangle Gallery of Visual Arts (2011). Her work is in the collection of the Alberta Foundations for the Arts and is privately and publicly collected throughout Canada, Australia, and the Netherlands. Kim Bruce resides and works in the foothills of Alberta just outside the City of Calgary. 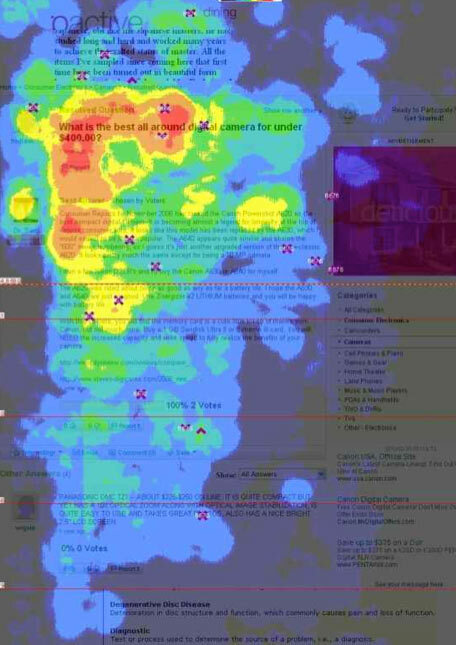 By understanding how people read and scan web pages you’ll be able to increase the readability of and interaction with your content by applying these tips. See Web Page Writing Tips for more.